If you have spent any time online, you may be confused as to the best wrinkle treatment out there. Everyone is claiming they have the next best thing. Is it a cream? Is it microdermabrasion? Is it topical collagen? Is it snail extract? No matter what the internet marketers say, Botox is still the gold standard for fine line and wrinkle reduction. The bottom line is it works – immediately. Many creams out there claim they work as well as Botox, but their results may take weeks, even months to show up. Botox is reliable, and immediate. It does cost more than most of the creams out there, but you get what you pay for. Botox is extracted from the toxin of a bacterial species called Clostridium botulinum. In the past, this bacteria was the feared cause of a disease called Botulism, and was often called the “sausage poison”. Botulism paralyzed the whole body and was often fatal. It disrupts the release of a chemical messenger called acetylcholine, which essential paralyzes muscle and stops it from contracting. The results are temporary and last anywhere between 3 and 6 months. Two brilliant physicians by the name of Jean and Alastair Carruthers described the cosmetic effects of Botulinum toxin in the 1990s, and Botox was born. In a Botox procedure, after applying a numbing cream, a cosmetic surgeon injects minute amounts of Botox under the skin. This is typically done in a doctor’s office as an outpatient procedure. Procedures take 10-20 minutes, and the patient can return home immediately after the procedure is done. Botox is reported to reduce fine lines and wrinkles by up to 80 percent! Results are evident within one week. Typical Botox patients are between 35 and 60, and generally, people are very happy with their results and the ease of the procedure. You will need to plan on getting more injections done, as the results are only temporary and it is important to note that Botox is most effective for fine lines and wrinkles. If you have facial sagging, deep furrows or severe wrinkling, then you will need to consider a face lift, a forehead lift and/or an eyelid lift. In addition, facial roughness, uneven skin pigment or age spots will not be improved by Botox injections. 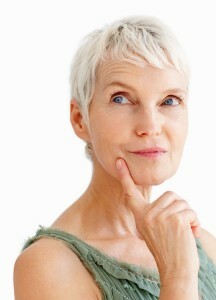 Botox is only part of a comprehensive anti-aging plan. Critical to the success of a Botox injection is correct selection of injection sites. This is where a board certified surgeon comes in! Sure you will have to pay a bit more to have an experienced cosmetic surgeon perform the procedure, but anything worth doing is worth doing right – especially if it is your face. Find a doctor with a large amount of experience in Botox injections. A lot of doctors can perform Botox injections, but it is important that the right dosage of Botox is injected in the right place. A common error is when Botox is injected on the wrinkle instead of into the area of the muscle contraction. Do your homework and select a board certified plastic surgeon!